Lydia is an escape coach and freedom instigator for corporate prisoners. Lydia is the Founder of Screw The Cubicle, a movement to inspire people to break free from the shackles of conventional work. From building businesses to forging freelance careers, she’s already helped hundreds of people create better versions of their life and become better versions of themselves. Now based in Bali, Indonesia, Lydia’s been published in Forbes and The Huffington Post and has been featured in Elle Canada and The Telegraph. Success! Screw The Cubicle sold 279 pre-orders by July 21, 2017, was pitched to 78 publishers, and will be self published. As a supporter, you’ll receive the advanced print copy of my book before anyone else, the digital version on PDF and Kindle, and a special “thank you” message on my social media community. You’ll receive two autographed paperback copies, the digital copy (PDF and Kindle), and a special “thank you” mention in the book. As a bonus, you’ll also receive a digital copy of the ‘Epic Imprint’ E-Workbook to help you get CLEAR on exactly what you WANT out of life, and the confident action you can take today to get there. This special workbook was co-authored with psychotherapist Constance Lynn Hummel. Get my 30 day jumpstart program ‘Take the Leap’ that will help you prepare for your transition from the 9-5 life to a new path of creating something extraordinary with your life. You’ll also receive the three paperback and digital copies of my book (one for you, and two for friends!). You're receiving $100 worth of a bonus! Escape your 9-5 with this awesome bundle that includes my jumpstart 30 day roadmap, Take the Leap, and the Find My Niche course to help you make the jump from your cubicle life and discover work you can love. You'll also receive 5 copies of the book (paperback and digital copies). One for you, and 4 for friends. You're receiving $200 worth of bonuses! You’ll be invited for a 90 minute live group training where I share how you can get paid to do work you love and work from anywhere. You’ll be able to apply how I personally created a location-independent career and life, and also see insider cubicle-free models that others have created. You’ll be able to ask me questions in an intimate Q&A, and a recording of the training will be sent to you. In addition, you’ll also be sent five copies of the paperback and digital version of the book (one for you, and four for friends!). You're receiving $150 worth of a bonus! You’ll get my 8 week course, ‘Startup to Sold Out’, to help you package your skills, find your ideal customers, and create a business you'll love. Learn how to sell what you do and get the confidence you need to get clients for the work you love to do. You’ll also receive five copies of the paperback and digital copy of my book (one for you, and four for friends!). You're receiving $250 worth of a bonus! You’ll get a personalized 90 minute coaching session to help plan your route of escape from your cubicle. A recording of the session and your personalized plan will be included. Also, you’ll receive ten paperback and digital copies of the book (one for you, and nine for friends!). You're receiving $350 worth of a bonus on the coaching deal! You + me spending a half day intensive together to create an escape plan personalized to you - includes identifying what career ideas are designed for you, strategic plan to create your business, and marketing what you’ll offer to your ideal clients. You’ll receive a recording of our half day session and an action plan emailed to you so you know exactly what to do after the session. You’ll also get five copies of the paperback and digital version of my book (one for you, and four for friends!). You're receiving $450 worth of a bonus on the half day coaching deal! You’ll get me to speak and teach at a 90 minute workshop up to 25 participants (virtual or live in Bali). The workshop topic can be tailored to suit the needs of your audience. In addition, you’ll receive 25 copies of my book to give away to your participants or you can choose to sell the books! You're receiving $350 worth of a bonus on this exclusive reward (limited quantities). The mother of all rewards for this campaign! You’ll get me to speak and teach at a TWO 90 minute workshop up to 25 participants (virtual or live in Bali). The workshop topic can be tailored to suit the needs of your audience. Amazing bonus: You'll get 10 free access to my 'Take the Leap' program (valued at $97/course) to sell or give away to your clients. In addition, you’ll receive 50 copies of my book to give away to your participants or you can choose to sell the books! You're receiving $2,600 (yes, you heard that right!) worth of bonuess on this exclusive rewards (limited quantities). You’ll get to come to Bali and receive a spot on my 5-day Escape to Freedom Retreat in Bali, Indonesia in February 2017 to learn how to create, plan, and implement your cubicle-free career and lifestyle dreams. - An extra 60 minute private coaching call with Lydia to use as a strategy session, accountability, or anytime you need her! You’ll also receive a bonus of 20 personally autographed paperback copies of my book to share with other wannabe corporate escapees, and of course, the digital version as well. You don’t have to wait to quit your job and start enjoying life. From lawyers to academics, anyone can learn how to leave the 9-5 grind behind and find fulfillment. Screw the Cubicle is more than a collection of case studies. It is packed with advice on overcoming the practical and mental hurdles that stop people from getting to where they want to be. This book shows how ordinary people from all walks of life have started profitable businesses, often with limited investment. From how to identify a great business idea to how to get validation and find customers, Screw the Cubible fuses lean startup thinking with insights from personal development. Wherever you are on the route to finding worthwhile work, there are insights and practical tips to get you where you need to go. This is not a get-rich-quick book, nor is it about outsourcing your entire job to virtual assistants in the Philippines so you can lie on a beach. Nor is it necessarily about having a startup. It is a blueprint for finding your own path to finding work that feels important to you, whether that be freelancing, entrepreneurship, social enterprise, or something else entirely. From inspiration to practical ‘how to’ information, Screw the Cubicle provides a mix of ideas and prompts to action, so readers can start getting closer to the working life they want. Today. Screw the Cubicle begins with Lydia’s own tale of corporate escape and addresses how people got to where they are - a world where over half of people in the developed world are unfulfilled by their work. At the same time, the book shows that there is hope. It starts by exploring the increasing numbers of options available to us, before going on a journey to help readers identify, test, and refine possible ways they could make a living right now. It also outlines the necessary shifts that need to take place to transition, whether readers are just starting out or looking to build their operations, including everything from tips from the most business savvy entrepreneurs to finding the best collaborators to help you bring your business idea to fruition and how to focus, prioritize tasks, and maintain momentum. This chapter charts my own journey from high-flier to rock bottom burnout on the floor of a Russian hotel. It moves on to give an insight into the reasons behind the epidemic of career dissatisfaction, before exploring many of the escape routes available to professionals from all walks of life. Readers get an overview of workplace trends, including practical information on sector growth areas, an introduction to setting up your own business and heaps of inspiration from people who have made the transition. Quitting your job to do something different can seem like a pipe dream when you’re stuck in an office answering to your malevolent boss. But there’s a wide array of options available. In this chapter, Lydia will introduce some of the stars of the book, including a mother of five who started her multi-million-dollar eCommerce business in her garage with $500 and the burnt out marketer who launched her six figure romance fiction editing business from a tropical land. From practical considerations to mind-set shifts, Lydia will cover the things that stop many talented people from moving on from a job that makes them unhappy. The second section of the chapter will cover in more detail some of the different paths out there for readers and outline a road map to getting started and getting launched as soon as possible. 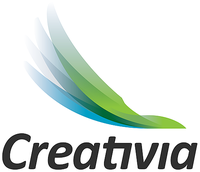 Investor and entrepreneur Chris Sacca once said, ''Ideas are cheap, execution is everything.'' Many people get stuck in their jobs because they are waiting for a multi-million dollar idea to land in their lap. But the idea is just one part of your future business. The main differentiator that separates a failed venture from a great one is you. This chapter helps readers map and understand the skills, interests and characteristics that will give their business the best possible chance of success. By using techniques to identify the sweet spot between one's skills, values and experience, readers can identify the innate strengths that will help them succeed. If you have a career, you are already being paid to do something. Why not try repackaging what you do into a skill you can sell right now? Many people underestimate their existing knowledge and skills and can only imagine being useful in the setting that they’re currently in. Moreover, quitting is always less scary when you’ve already proved you can earn revenue in another capacity because you’re reducing your reliance on your existing paycheck. This chapter will show real life case studies of how former corporate prisoners turned their day jobs into profitable businesses, before they quit their full time job. You have your shortlist of ideas, but how do you know which one to pick? This chapter offers step-by-step instructions on how to road test your ideas with your intended customers. Testing helps you determine the strength of your idea (and whether it’s something your customers will actually pay for). It also helps you identify the parts of your offer that customers and clients find most valuable. In this chapter, Lydia will share advice on how and where to launch and finding the right customers to test with. Not everyone can launch a successful business while they work a full-time job. For many people, leaving their old jobs and lives behind was critical to helping them reinvent themselves. This chapter offers advice on negotiating a sabbatical from your employer - what to do, where to go and what to think about when planning a sabbatical. It also features stories from several people who achieved successful transitions while on their sabbaticals, including one who went from a senior level executive in corporate risk management to a professional hula-hooper. Chapter 7: No Money? No Problem. This chapter contains an overview of businesses that require minimal investment to set up. From coaching businesses to copywriting businesses, discover the business models that enable you to make good money with relatively little investment upfront. Discover low risk ways you can create value for customers, without investing in costly stock or expensive websites. Several of those featured in the book launched their businesses outside of their home country. This chapter goes into some of the practical and legal repercussions of going overseas to launch a business and the kinds of business models that can be effectively launched and run overseas (and that don’t require you to be tethered to one location). Featuring a diverse range of case studies in which entrepreneurs explain how you don’t need to be rich to start a business abroad, Lydia will outline cost effective destinations that allow people in transition to enjoy a wide support network and a great quality of life. "A year in entrepreneurship is like ten years in therapy," Lydia often says. When you’re an entrepreneur, there’s no one else to blame but you. If something isn’t happening, it’s probably down to you. This part of the book tackles the beliefs and attitudes that could be holding you back from launching, iterating and growing your business. This chapter will help identify your sticking points, and Lydia will share techniques that will help you overcome the ideas and beliefs that are holding you back. You don’t have to have a load of savings in the bank to quit your job and go traveling. In this chapter, Lydia offers options for people who want to combine adventure and exploration with earning a living. She will outline the skills that are most likely to make you hard cash on the road and offer ideas on how to find new clients through working remotely. This chapter also features stories from people who quit their jobs to go traveling with no savings and managed to return home with more money than they left with. “I can’t quit my job, set up a business and travel the world because I have a family,” is a common plea. In this chapter, Lydia will outline the inspirational families who have reengineered their working lives to have more free time with their children and spouses. Not only do they travel the world in the way that they’ve always dreamed, but they’ve built incredible businesses as they’ve done so. Not only can you get to enjoy traveling the world with your family in a sustainable way, but you can still access support and educational opportunities for them as you go, thanks to rise in online learning and world schooling. You don’t have to quit your job to launch a side hustle. This chapter features several people who launched successful side hustles while they worked full-time. This chapter includes advice on juggling a side business with a job, including time management and productivity tips from people who’ve built their occasional hustles into million dollar businesses. Before you tell your boss to go to hell, think about what you could potentially get from your old job. Former concept designer Chrissie Lam was able to secure large wholesale orders for the products created by her social enterprise consultancy through an old work contact. And when she went it alone, those contacts helped her get her products displayed in some of the biggest shopping malls of the world. For entrepreneur Clare Harrison, it was a contact who she’d known for eight years who gave her consistent freelance work after she’d quit her full time job. This gave her the security and time she needed to spend exploring other options. Everyone has heard the saying that you’re the average of the five people you spend the most time with. And this can be true both in terms of who inspires us, but also who supports us on our journey. Finding supportive communities helps us transition and test our services. Communities can also supply an amazing network to help you connect with talent and build your business. Whether it’s checking out an amazing co-working space or finding your tribe online, Lydia will offer advice on where to find supportive communities for each stage of your journey. From Wall Street bankers to teachers and lawyers, Screw the Cubicle attracts a broad church, drawing both male and female audiences in equal measure. Screw the Cubicle primarily attracts interest from the US, Canada, the UK, Australia and Germany. Many of the people drawn to the message behind Screw the Cubicle are at least five years into their jobs. Most are well-educated and feel they have something to offer the world. They believe they have something more than their job allows them to express. This book is for anyone who has ever wondered if there was another way or anyone who has ever dreamed of expressing themselves in a different way. There are over a billion people in the developed world. Many of them are engaged in office jobs. Many are climbing the ladder and wondering when all their work will pay off. Over half of Americans are currently dissatisfied at work, and, unless more corporate jobs are re-imagined for the 21st century, many of them are destined never to be. Business coaches are less well known in European markets, yet Lydia attracts a large number of online visitors from Germany and the UK. Given the number of visitors she attracts from Germany, a translation could yield significant additional sales. Since 2014, Lydia has established a strong, niche, online presence. She has grown a loyal army of fans from around the world who read her email updates, download her materials and engage with her via social media channels, like her YouTube channel. Lydia's website draws the lion’s share of users from the US, Canada, the UK and Australia. The Screw The Cubicle Facebook Page has 2,000 fans. Lydia also started a group called the Unconventionalists, which has around 2,000 members and high levels of engagement, last year. Group members share their stories and ask questions in a supportive online environment and membership has doubled in the last year despite the fact that there’s been no advertising. Lydia launched her YouTube Channel in 2015. It already has 50,000 views from the US, Canada, the UK, Germany and Australia, among others. The biggest audiences are the US, which accounts for 35% of traffic; the UK, which accounts for 9.5%; and Canada, which accounts for just under 7%. Lydia has an email list of over 2,500 people who have actively signed up. Many have taken part in her courses and programs and many read her newsletters and updates. She uses software that tracks the content her readers are most interested in, so she knows which messages she needs to create in order to resonate with them. Lydia has 4,000 followers on Twitter from all over the world. Lydia has been featured in Forbes, Elle Canada, and The Telegraph. She is a regular contributor at The Huffington Post. Her articles have been shared by the likes of Tim Ferriss. She is a frequent speaker at international events, including Hubud in Bali, named one of the world’s top 10 co-working spaces by Forbes; London-based Escape the City (which has a mailing list of over 250,000); and The Wedge, an organization based out of one of Singapore’s foremost co-working spaces. This New York Times and Wall Street Journal bestseller features many business owners who started their business for $100 or less. In nearly all cases, people with no special skills discovered aspects of their personal passions that could be monetized and were able to restructure their lives in ways that gave them greater freedom and fulfillment. Critics argued that the case studies were too general with not enough practical information. This book suffered from too many case studies, disallowing the writer to go into sufficient depth. This book spent more than four years on The New York TImes Bestseller List, has been translated into thirty-five languages and has sold more than 1,350,000 copies worldwide. With its “Live More, Work Less” message, The Four-Hour Workweek was a revelation for thousands of people. But it misses a crucial piece, which is that people enjoy work and get fulfillment from it. Ferriss’ anecdotes and observations, which are written largely through the eyes of a single, white, Ivy League-educated male are not relatable for most people. This book is a ‘how to’ book with instructions on how to do what you love and get paid for it. The book argues that you can get rich by having fun and outlines how you can beat the doubts and internal blocks that hold you back. Some people think it focuses too narrowly on the ‘play’ aspect. This Amazon bestselling book tells you how you can build a freedom business that you can run from anywhere in the world. The author tends to focus on the tools and technology you need to run a business from your laptop. From fiction writers, to e-commerce entrepreneurs, Screw the Cubicle has a broader range of occupations, stories and business models. 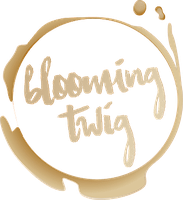 BLOOMING TWIG is an award-winning boutique publishing house, media company, and thought leadership marketing agency. Based in New York City and Tulsa, we have represented and re-branded hundreds of thought leaders, published more than 400 titles in all genres, and built up a like-minded following for authors, speakers, trainers, and organizations with our bleeding-edge marketing strategies. Since 2005, at Blooming Twig, we have been building our profile as the little literary engine that could, ignoring fads and sticking with work that has depth and the power to make a difference. 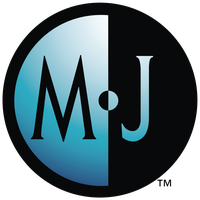 Now our company’s trademark phrase “books that matter” has become the name of our Thought Leadership Marketing Agency: M8R, and we have expanded our desire to assist motivated individuals and organizations with vision to extract their intellectual property, make more significant profit, and change the world. Our company shares the same brash, ethical, and DIY ideals that revolutionized popular music in the early 1990’s. 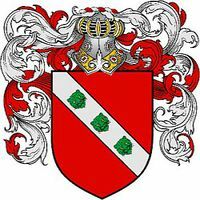 Blooming Twig was founded by Kent Gustavson PhD, with the empowering notion that authorship isn’t just for the elite or the privileged. Blooming Twig is about giving the people with something to say (“thought leaders”) a platform, walking its clients up to their own influencer pulpit, and making sure there is a like-minded crowd assembled to hear the meaningful message. Our writing, editing, and marketing team is made up of a domestic and international roster of experts, and our secretive methods proudly eschew the use of any hard-selling or “black hat” practices. Our ultimate goal is to be the amplifier for amplifiers; we like to say, Let us be the bass player to your Hendrix. The material we release is definitely diverse, but what our authors share is a deep desire to change the world. Our authors feel transformed through the writing of their books, and their books in turn change people’s lives. That gets us out of bed every morning. 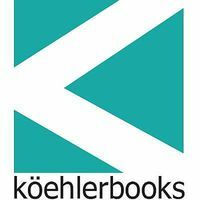 Over recent years the book industry has lost its dependable, definitive shape and has been morphing into various options for booksellers, publishers and authors. It has been challenging. When technology intersected with publishing, the game changed completely, and has been changing ever since, so that it's hard to predict the next trend. Technology trends have been good for authors and booksellers, but has held mixed blessings for publishers. 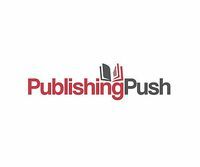 Caribbean Chapters Publishing has been around for just 8 years, rolling with the punches. In our own small way, we strive to produce quality editorial and design services. We know that no matter what the technology trends are, you can't beat a good book! A structured, consultative editorial process and top notch design services are complemented by customized marketing. Every book is different, and should be sold in a different way to capture its unique audience. We recognize that a book and its author have a special relationship, and we like to stay out of the way. 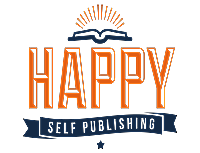 So we offer authors the kind of control that self-publishing brings, while providing professional support services and aggressive marketing -- the best of both worlds. And yes, we are in the Caribbean... in Barbados. We edit, design, publish and consult. 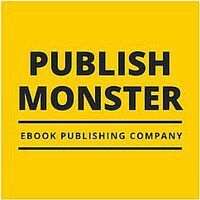 Get your ebooks into the biggest stores and keep the 100% of your royalties. Amazon, Apple iBooks, Google Play, Kobo, Nook by Barnes & Noble and more. What kind of life should we aim to lead? It’s a question that philosophers have been trying to answer for thousands of years. And yet, after all the great leaps forward made by human endeavor, it sometimes feels as if we’ve gone backwards, as opposed to forwards. We spend more time at work and less time with our families. We work harder, not smarter. Work creeps out of the office and into our social lives, homes and weekends. And after all this progress, how many of us are honestly leading a life we can be proud of? Bronnie Ware, an Australian nurse who cared for patients in the last 12 weeks of their lives, recorded the regrets of those on their deathbed in her book The Top Five Regrets of the Dying. The most cited regret of her patients - they wished they’d had the courage to live a life true to themselves, not the life others expected of them. And that’s what this book is about. It’s about giving you the courage to start living the life you really want, rather than do what is necessarily expected of you. It’s about showing you the multitude of options that lie beyond those currently under your nose. And about the actions you can take today to start exploring those options. Every person in this book acted on that nagging feeling that there was something else out there for them. And they were right. There is. Whether it’s creating a business you can run from anywhere or reinventing yourself as a romantic fiction writer, there’s another version of you - one that doesn’t suffer from the Monday morning dread. In fact there are many. This book also shows the diversity of options out there. You don’t have to search for one purposeful career, there isn’t only one path. We’re already seeing the rise of portfolio careers. You can have multiple projects and have multiple income streams. You don’t have to pick just one forever. Every time you launch, you learn. Every time you launch, you get better. And this is the way the world of working is going: remote, adaptable, flexible and responsive. We’re witnessing the decline of a job for life. The world of work is changing, new jobs are being created, old ones are being automated and made redundant. We are in a constant state of flux. You may worry your job will be stolen by a robot, but you shouldn’t: this era heralds an opportunity to create a life that interests you and plays to your strengths. In many ways, this is the opposite to the corporate mindset, which teaches us to specialize. It incentivizes us to master one thing and climb the ladder. This approach generated efficient outcomes for companies historically, but it is becoming less well-suited to the world we live in. Moreover, people are increasingly reluctant to accept a job that doesn’t allow them to be authentic and true to themselves: there are many expressions to your talents and skills that will go unfulfilled under the old model. By taking control of the work you do, you are taking control of your life. And your happiness. And my friends, happiness can’t be hacked. People like to work. We know that. Retirement isn’t necessarily the secret to happiness. In fact, a record high number of retirees are saying they’re “not at all satisfied” with retirement. So there’s no point looking forward to being pensioned off at the expense of how you feel right now. Which is just as well, because most of us won’t be retiring any time soon. For most of us, work will be an inevitable part of our lives for many more decades to come. So let’s make work something that allows us to live as we choose to live and be the friends, partners and parents we want to be. Let’s find work we enjoy. It can be tempting to fantasize that your latest idea is the result of divine inspiration and should be shared with the world immediately, but hold on a moment. Before you ring up your bank manager about that loan, launch a website, and spend hours devising a fancy business name, why don’t you see if anyone might actually want what you’re about to sell? Because ask most entrepreneurs the biggest mistake many aspiring businesspeople make and they will say: ‘not testing your product or service’. Testing may sound duller than spending an evening in reading the dictionary, but there’s a good chance it will save you money, time and headaches further down the line. It also helps you determine value. And creating value should be at the heart of every business. Determining our own value is one of the things we struggle with the most. Especially when we’ve relied on our employers to tell us what our value is for the previous decade or so. If we are trialling a service-based business, there’s a good chance we still don’t know which bit of our offering our clients will find most valuable until we ask them. Another key pitfall to avoid is thinking that having your own business will solve all your problems. What if it creates a whole load of new ones? When you have your own operation you will probably have to get stuck into a wide range of tasks without an army of colleagues to help you. What if you hate doing the actual work? Testing allows you to see which bits of the process you like (or loathe) the most. Testing out how the process feels first means you’re less likely to get stuck with a business that enslaves you in a whole new way. And there’s another great thing about developing your value proposition. Not only will testing help you refine your product or service, but it will tell you whether there’s a market for what you’re about to offer. Determining value, will in turn, help you arrive at a price. So the quickest way to determine who will like what you have to offer and how much they are likely to pay is to test. The mistake many people make when it comes to road testing their idea is to ask their closest friends for feedback. Even if we plead with them to be honest, they probably won’t be. And if they’re not your target market then what’s the point? Don’t test your latest idea with your Dad if your target audience is soon-to-be moms. Test with your desired audience. And don’t just test out your idea once, test it out a bunch of times. Once you’ve figured out who you think you want to help, it’s time to think how you can test your idea with them. Start offering to help people. You can offer your services for free, or for a very low price and see how people respond. It’s also far less terrifying when someone hasn’t remortgaged their house to pay your fees. These small-scale trials will also allow you to get testimonials for your new business. This kind of social proof is absolutely essential when launching any new business. These trials also help you build confidence in your proposition and yourself, which will allow you to command a higher price once you roll out your business to a wider audience. So start small, initially. I encourage my clients to give away information and see how it goes down. One option is to run a free workshop. Another is to offer a free download, or run a free trial. Cate Hogan, a former marketing manager from Sydney, who now runs a successful six figure business editing and ghostwriting romantic fiction, did exactly that. She didn’t make a fancy website advertising exorbitant rates before she’d done any work. Listing herself on the freelance website Fiverr.com, she started off doing all kinds of different writing jobs, from author bios to descriptions that appear on the back of a book jackets for as little as $5. 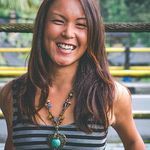 This allowed her to build up a higher rating on the site to win more clients over time, raise her prices and discover which parts of her work she could charge the most for. It also allowed her to see whether she liked editing and whether she could stomach doing it full time. Testing in this way allows you to attract clients as leads and get feedback on your service. And as you get better at delivering value, you’ll get hired for more work and get more referrals. Three years down the line and she’s still using low fee trials to lure in clients. Now she’s honed her proposition so much over the years that she converts many of her trial customers into bigger jobs. For just $10, she offers content edits and assessments of up to 2,000 words of writing and many of these customers turn into jobs worth thousands of dollars. Former business journalist Clare Harrison was freelancing for big PR firms and working for corporate clients. She had skills that worked in a corporate setting but was unsure how she could go about shifting towards startups. She also knew what kind of approaches she liked (and hated) when she was a journalist. But still, she was unconfident that she could get media coverage for a someone who was completely unknown. The change came after she started offering her PR services to people who worked in her local coworking space on a trial basis. Initially offering to pitch for her coworkers for free, she then ran a webinar with advice on how to pitch for media. It worked. And her coworkers ended up in Forbes, Business Insider and leading national titles like the Telegraph in the UK, and The Globe and Mail in Canada. Through experimentation, she discovered the things she did that were the most valuable to startups and individuals and it helped her devise packages that were attractive to clients. So start by trialling your product or service. Get feedback from customers. Refine your product. Repeat as necessary. When you’re developing a service-based business, this is particularly important, as many budding entrepreneurs find it hard to know the part of their proposition people will find most valuable. Many people despair that they don’t have all the answers and this leads them to inaction. But you can’t possibly know everything at this stage - even the most seasoned entrepreneurs are constantly monitoring and tweaking their products and services. Nor should you feel like you have to do a ‘big bang’ launch before you’ve tested your idea out. So before you post an announcement on Facebook and tell your auntie, try your crazy little dream out with a few people and see how it goes down. If you’re coming from a corporate setting, this process can seem a little unstructured, uncertain and daunting, but that’s exactly how it should be. If you embrace the rollercoaster of discovery, it can also be a lot of fun. Four years ago I was on a business trip to Russia. I’d climbed the corporate ladder, I was making six figures: I had the car, the house in the Canadian suburbs and by most people’s reckoning I was successful. But I was miserable, tired, overworked and disconnected from the work I was doing. So I did what most people would do in that situation: I hired a therapist, who concluded there was nothing wrong with me. There was nothing wrong with me. But there was something wrong with my life: my job. It was exhausting, soulless and creatively stifling. If you’re like most people, you’ll spend over 90,000 hours in paid employment over your lifetime. And if you’re like most people, you probably won’t enjoy all that much of it. We live in an era of career dissatisfaction. According to an annual survey released by the Conference Board research group, more than half of Americans find their job unsatisfactory. And from my own conversations with countless corporate escapees, many employees simply do not aspire to their boss’s job. So why do we stay put? We get stuck because we feel like there is no alternative. Many of us are trapped on a Monday to Friday 9-to-7 treadmill of showing up for work, getting paid, paying bills, mortgages and laying the groundwork for a retirement that’s a very long way off. I was doing everything I was supposed to be doing. But it wasn’t making me happy. Not long after my breakdown, I quit. Since then, I’ve been on an incredible journey. I’ve set up two businesses of my own. I’ve studied what makes work so important to us and how we can find work that engages us (and pays us). I’ve transitioned from employee to consultant to entrepreneur and helped many others do the same. When I had my meltdown, I had no one to turn to. It felt like there was no way out. Which is why I’m writing this book: to show you the world there are many varied routes to leaving a nine to five job and finding work that you love to do. You don’t have to have a multimillion dollar startup idea or have $100k saved in the bank. You can start making progress towards building a life you enjoy. Now. Right now. Whether money’s tight, you’ve got kids, or you’ve never worked for yourself - there’s a path out there for you. We live in an age with more information and more ways to work than ever before. More of us are (and can) work for ourselves. There’s been an unparalleled growth in flexible working practices. And many of us are able to work in a way that allows us to combine work and adventure. We can design careers and businesses that allow us to indulge our love of travel, or even our hobbies, for example. And we don’t need any special equipment, knowledge or expensive kit to get started. In this book, I’ll be sharing 25 different escape routes told by 25 ordinary people who’ve built sustainable businesses (and lifestyles) that allow them to feel good about the work they do every day. on Aug. 1, 2016, 4:33 a.m. Looking forward to this read! Good luck on your campaign success!! on Aug. 1, 2016, 5:56 a.m.
on Aug. 1, 2016, 3:45 p.m.
on Aug. 1, 2016, 3:49 p.m.
Congrats on the book Lydia! on Aug. 1, 2016, 4:25 p.m.
on Aug. 2, 2016, 7:54 a.m.
Yay I am so excited to read this and be a part of this! on Aug. 2, 2016, 11:34 a.m.
Inspirational stories from the one and only Lydia Lee ! on Aug. 2, 2016, 3:11 p.m.
on Aug. 3, 2016, 8 p.m.
on Aug. 8, 2016, 8:41 a.m.
on Aug. 12, 2016, 2:50 p.m. Excited to support the amazing Lydia Lee as she shares the many ways herself and others have moved beyond the cubicle to create their own work and impact in the world! Could you be the next one to leave your cubicle for good? on Aug. 12, 2016, 9:40 p.m.
on Aug. 14, 2016, 11:09 a.m.
on Aug. 15, 2016, 5:40 a.m.
on Aug. 15, 2016, 5:41 a.m.
Ha ha! Woops I thought I was posting to Facebook - either way! excited for the read Lydia!! Congratulations!!! on Aug. 16, 2016, 6:14 a.m. I feel this book is exactly what I need at this moment. My life appears wonderful on the outside - tech company, expat living, but I am dying from the 9-5 (or 8-6) grind! on Aug. 17, 2016, 3:57 a.m. I'm excited to support fellow Hubudian Lydia Lee in launching a book I wish was around when Renee and I jumped ship from our sensible careers 7 years ago! If you are looking for inspiration or proof that the exciting and bold can be done, check this book out. on Aug. 18, 2016, 1:30 p.m. I'm so glad Michelle shared your campaign! This is the perfect time for me to move on to a new phase in life. Can't wait! on Aug. 19, 2016, 11:01 a.m.
Lydia broadened my horizons and helped me change my view of what is possible; I'm really looking forward to learning more and seeing her wisdom in print! on Aug. 24, 2016, 2:06 p.m.
on Aug. 28, 2016, 4:03 a.m. I ordered this great because Lydia Lee is a way shower for this transition so many people want to make from office dread to inspiring living and working. on Aug. 29, 2016, 1:40 a.m.
on Aug. 29, 2016, 7:38 a.m.
Congrats Lydia! You're my inspiration! on Aug. 29, 2016, 12:02 p.m.
Way to go Lydia! Congrats!! on Aug. 29, 2016, 5:48 p.m.
on Aug. 30, 2016, 1:01 a.m.
on Aug. 30, 2016, 7:53 a.m. So solid. I can't wait to read this. Lydia is very far from boring and so I just HAD TO pre-order this Screw The Cubicle book! Yay. on Aug. 30, 2016, 5:07 p.m. Looking forward to reading more inspiring stories of people following their dreams and passions. on Aug. 30, 2016, 10:17 p.m.
A great person doing great things. Vibe. on Sept. 3, 2016, 3:31 a.m. YAY!! Excited!!! Way to go! on Oct. 17, 2016, 5:47 p.m.
on Feb. 20, 2017, 3:31 p.m.
Love love the work you are doing Lydia! You inspire me to change my life.